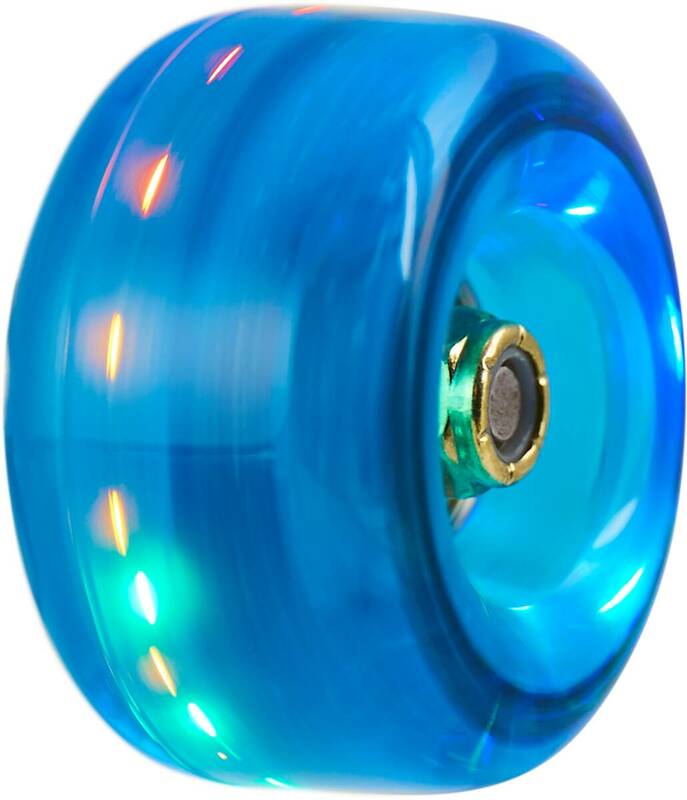 With the Rio Roller Light up roller skate wheels you will be sure to make a grand entrance at the local roller disco. Motion activated LED lights are built in to the roller skate wheels. The roller skate wheels are great for outdoor use but perfect for indoor use. The wheel shape keeps the axle ends from scratching the floor. High-quality wheels (super-smooth gliding!) with the perk of beautiful flashing lights... it couldn’t be any better! NOW who’s rocking the skating rink?! Very nice wheels, the light scheme is great, love the multi colored lights. Excellent set of wheels. Light up very well.